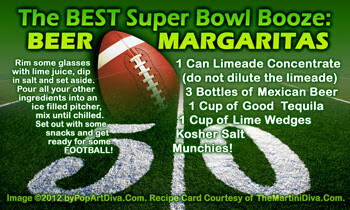 BEER MARGARITAS - A Super Bowl Touchdown! Now you don't have to choose between beer or margaritas for Super Bowl this Sunday! These Beer Margaritas are the answer to all your football booze issues. You get the delicious sweet and sour of a margarita along with that kick of tequila AND you get it with the carbonated buzz of a good Mexican beer!